Regular appointments with your Medland Hygienist will identify and prevent dental problems and keep your smile as healthy as possible. Our Brisbane based Dental Hygienists and Oral Health Therapists are university trained [Bachelor of Oral Health], registered health professionals. Our Oral Hygiene team specialise in preventive treatments typically focusing on techniques in oral hygiene. They are an integral part of the Medland oral care programme – caring for you with specific, specialised oral care and advice. Your Medland dental hygienist works with your dentist to tailor your preventive treatments. Treatments and procedures can include taking digital x-rays, fitting mouthguards, removing plaque and tartar, evaluating and treating gum disease, checking for soft tissue pathology, fluoride treatments, home care advice and oral health education, saliva assessment and whitening treatments. Regular professional cleaning and examination appointments can greatly reduce the need for future, complex dental treatments. Your appointment will be comfortable and enjoyable as you relax and listen to your favourite music in our Brisbane practice. We look forward to looking after you and seeing you smile. Place your toothbrush at a 45 degree angle against the gums. Move the toothbrush in gentle circles. 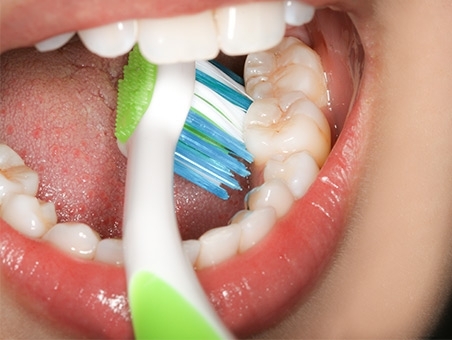 Brush the outer tooth surfaces, the inner tooth surfaces and the chewing surfaces of the teeth. Use the top point of the toothbrush to clean the front, inside surfaces of the teeth using a gentle up and down stroke. Lastly, brush your tongue to remove bacteria and to freshen your breath. Wind a length of floss around the middle fingers of both hands and hold the middle section of floss between your thumbs and forefingers. Guide the floss down between your teeth using a gentle rubbing motion. 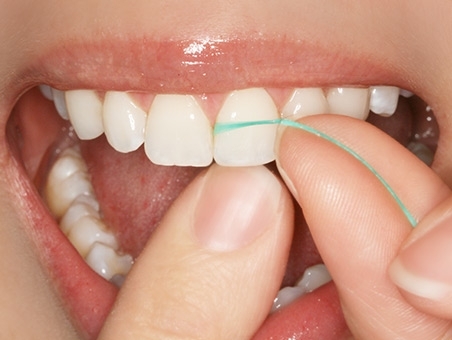 When the floss reaches the gumline, curve it around the outer edge of the tooth. Remove the floss away from the gum with up and down motions. Repeat this for every edge of every tooth.